There are just a few more days left of 2015. And it’s been a good year. We resdesigned the site to make it more mobile-friendly, added a new business partner (yay, Kristen!) and even welcomed a new Fit Bottomed Girl into the world. This year also marked when we took our store from good to like, whoa, check it out, awesome and even added watches to our FBG swag line-up. The Anti-Diet love remained strong in 2015, and we took things up a notch with the Fit Bottomed Challenge. So, I guess what you could say is that we’re feeling a bit nostalgic and celebratory about 2015. 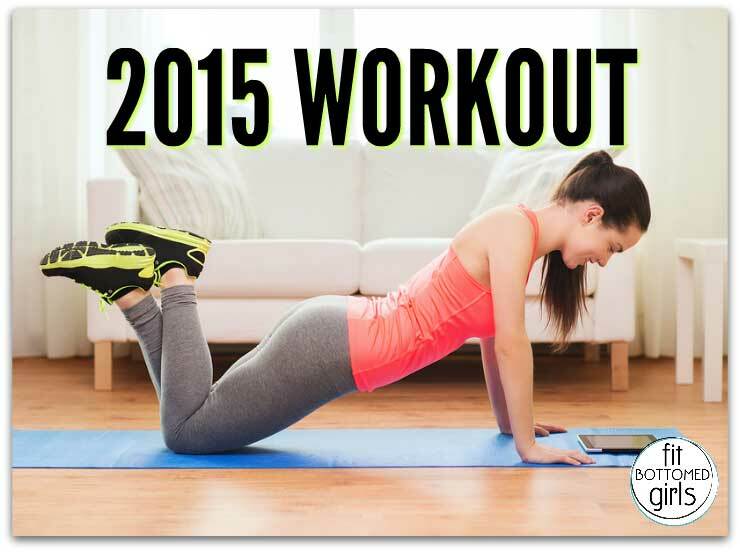 Therefore we’re going to honor it in the best way we know how: with a 2015 workout! 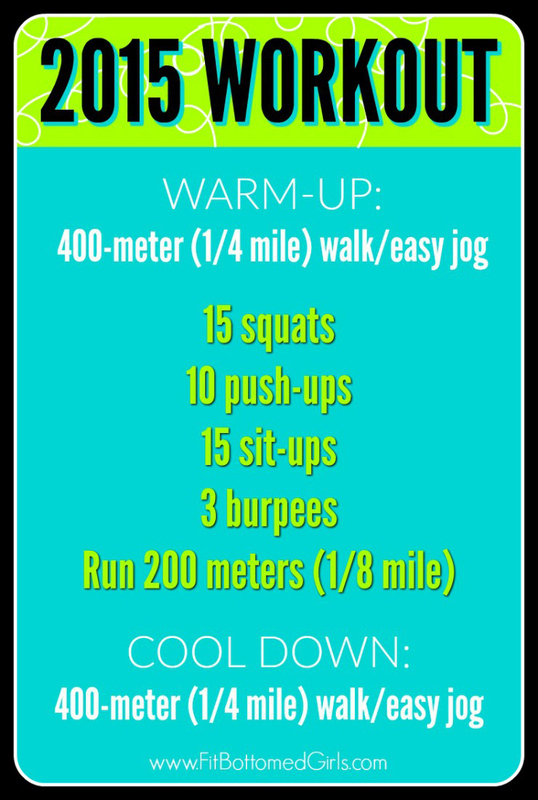 As you’ll see, the theme of this “2015 workout” runs strong (fun math) … plus, no equipment needed other than a track/treadmill/trail so that you know how far you’re running! Oh, and a little bit of energy. Feel free to modify as needed though. Beginners can walk instead of run and do modified push-ups — still a fun one! Go through the squats/push-ups/sit-ups/burpees/200-meter run circuit five times (once you add in the 400-meter warm-up and cool down it adds up to 2015! ).